Join Wool & Co. for NaKniSweMo 2018! Join Wool & Company for NaKniSweMo 2018! November has gotten quite the reputation in the knitting community for NaKniSweMo (National Knit a Sweater in a Month). From the 1st to the 30th of November, knitters from around the globe cast on and complete a myriad of amazing sweaters! Join our community event and knit up a warm and snuggly sweater for the cold months ahead. Of course there will be prizes!!! *In order to be eligible for a prize at the end of our NaKniSweMo event, you must knit an adult-sized sweater with yarn purchased from our shop, however you are welcome to participate with yarn purchased from elsewhere. Swatching is encouraged ahead of November 1st. Visit the shop & we are happy to assist in helping to check gauge. An adult sized, long sleeve sweater in worsted weight or lighter will be 50,000 stitches or more. Cardigans may contain less stitches. The sweater does not need to be blocked by November 30th, but it is encouraged! 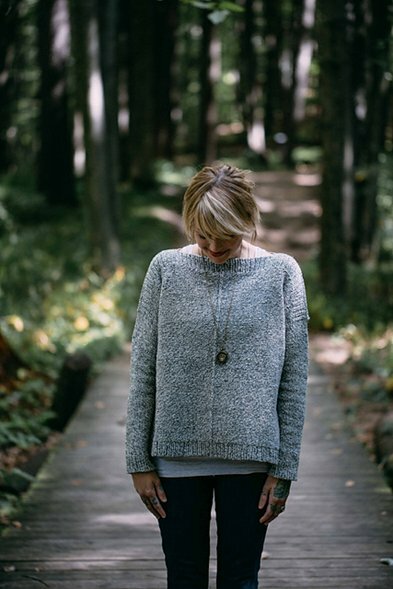 Wool & Company currently has several Shibui and Brooklyn Tweed sweater patterns available that are free with the purchase of the yarn. Ask an employee for details! Also, check out our “Sweater Inspiration” binder. 11/1: Cast on day. Come any time during our open hours to cast on your sweater. New Arrival: Farmers Daughter Fibers!!! New Blue Sky Fibers Kits! Experience the Mrs. Crosby Loves to Play Holiday "Pop Up Shop" at Wool & Co.
Join us for a Shibui Trunk Show at Wool & Co.! Two Year Anniversary Celebration at Wool & Co.!